Howard Behrens was born in Chicago, Illinois and now resides in the Washington D.C. area with his wife Judi. Together they travel the world to find the gardens, inns, vistas, and villas that Howard Behrens paints. He has a Bachelor's and a Master's Degree in Fine Art from the University of Maryland. Howard Behrens has had numerous one-man shows coast-to-coast since becoming a professional artist in 1980. Howard Behrens' works have appeared on the covers of many art publications and Howard Behrens has been the featured subject of several magazines and newspapers. After visiting Giverny, France, last year, Howard Behrens created a Tribute to Monet series that was exhibited at the Embassy of France in Washington, D.C. As an official artist for the 2002 Winter Olympics, Howard Behrens' painting, In Motion, was featured at the games. 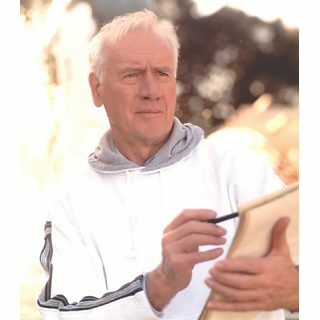 Howard Behren's works are owned by numerous collectors and are in the permanent collections of many museums.